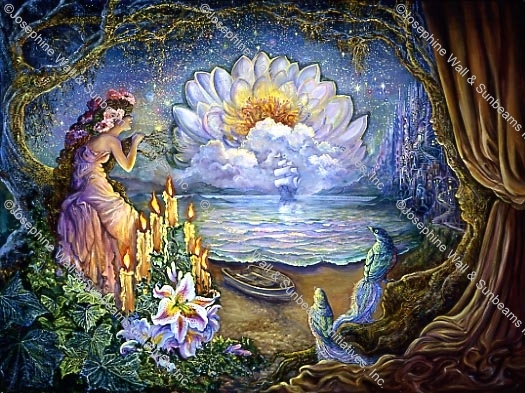 In the land of the midnight water lily, the maiden eagerly awaits the arrival of a mysterious galleon. As it enters the flowerlit bay she wonders what bounty it carries. Will it be laden with exotic gifts from a far off land, or maybe this time a gallant lover to whisk her away to faraway places for adventures untold. How long has she been waiting for this moment? In her world time has no meaning, it may have been minutes or years..! !